A triple Artemis in chrome? We can do that. Chrome plated brass with Gray Barred feathers. We even made some with colored feathers. 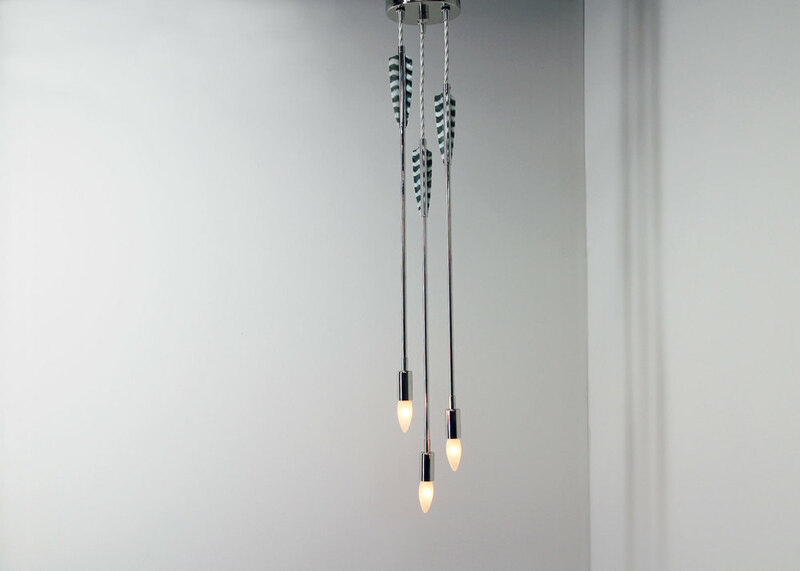 Customize your Artemis pendant with brass or chrome. Then choose your favorite colored feather. Finally, add a cloth-covered cord of your color choice.